I decided to go into the shop and ask the shop Manager, as a local author would they display our book as a Christmas gift. Mind you, I did think the good news is that probably 9 out of 10 people going into the shop are looking for a book. The bad news is they are probably looking for a cheap book! I was stunned. 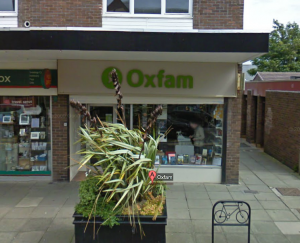 Oxfam were paying for everything and they explained that as they rely on the local community, they have a budget to give something back and will help me. In addition, they do not want one penny from any book sales at these readings. Their benefit is getting people inside the shop. So, our goal is to have these appointments completed by 17th December.